It's hard to stand out in the smartphone world, especially if your phone doesn't do anything unique. LG knows this and has never shied away from trying new ideas. It was one of the first companies to make use of curved screens, and last year, it released an insane smartphone with a "magic slot" that let you plug in accessories, including a camera and a speaker. The phone was a disaster. It was poorly reviewed, and few people bought it. This year, LG is hitting the reset button with the G6, a modern flagship with all the essentials and not much else. 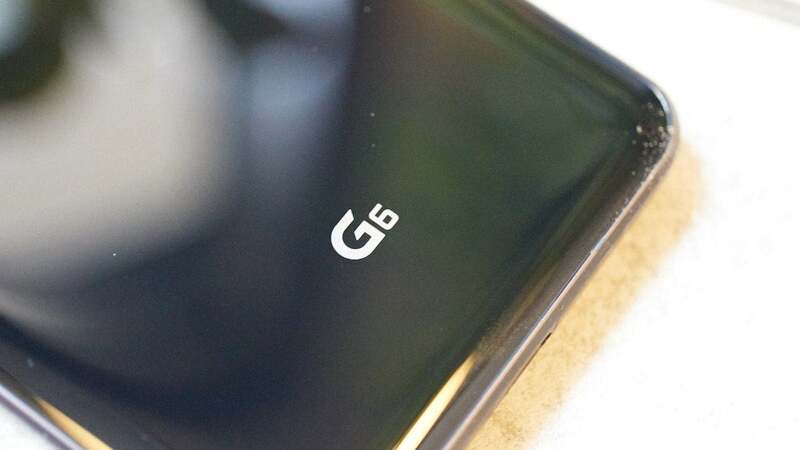 At first glance, the G6 makes a hell of a good impression. 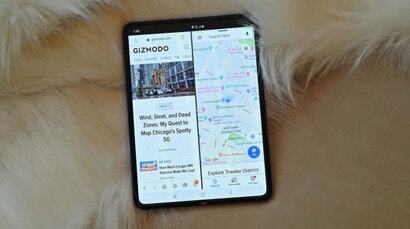 It has a large, beautiful 15cm display that takes up nearly the entire front of the screen — no garish bezels here. The aluminium build is sturdy and satisfying, and under the hood, it packs quality hardware that can go toe-to-toe with the best phones out there. One thing you'll notice right away is the phone's unusual dimensions. This can be explained by the display's weird 18:9 aspect ratio. It makes it a little wider and longer than other popular smartphones. That's not bezel. Its extra screen because the video is a different aspect ratio that the display. The difference becomes most obvious when you're watching videos on YouTube or Netflix, where most videos literally can't fill the screen, resulting in two borders along the edge of the phone. Some newer shows, like Stranger Things, have been filmed in 18:9 and look phenomenal on the 18:9 display. 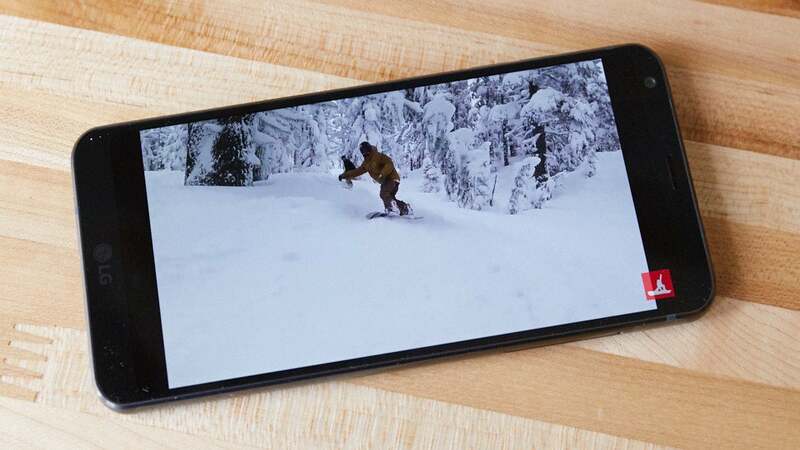 Yet most videos are shot in the traditional 16:9 aspect ratio, meaning the video is not wide or long enough to fill the LG G6's larger screen. In my week testing the device, I never really got used to the borders. But I could get really used to the G6's two rear cameras. 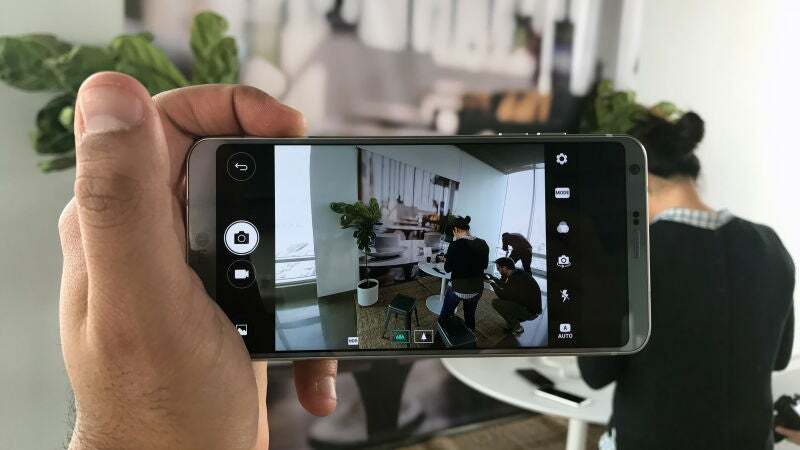 They're two 13-megapixel cameras on the back that are good enough to compete with top phones like the iPhone 7 Plus and recently announced Samsung Galaxy S8. One of the rear cameras has a 125-degree wide-angle lens that captures a wider vista than even the iPhone 7 Plus (which maxes out at 75.4 degrees), making it easier to capture scenery or make sure that your friends don't get cut out of sloppy, late night group photos. The wide-angle camera adds a huge amount of creative freedom and is something that most amateur phone photographers will really appreciate. There's also a wide angle lens in the front, meaning you can take better selfies with more people or in front of an interesting backdrop. During a side-by-side comparison to the dual rear camera equipped iPhone 7 Plus, we noticed that the G6 doesn't switch between the two lenses quite as fast. There's about a second delay on the LG phone. The iPhone switches instantly. This probably won't be a big deal for most users, but anyone who needs to switch between lenses quickly could be frustrated by this brief lag. This is wide-angle focal length. 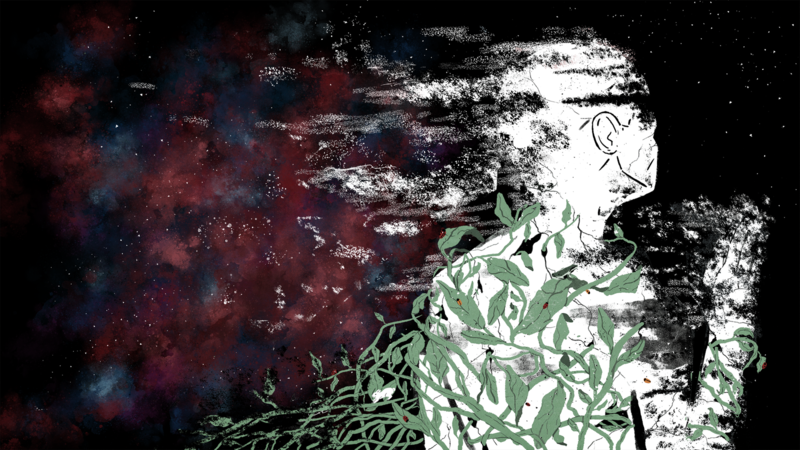 It has a much larger field of view. (Image: Michael Nuñez/Gizmodo) The inclusion of a wide-angle lenses on the front and back of the phone makes the G6 better (and honestly more fun) than Google's own flagship Pixel at taking photos. 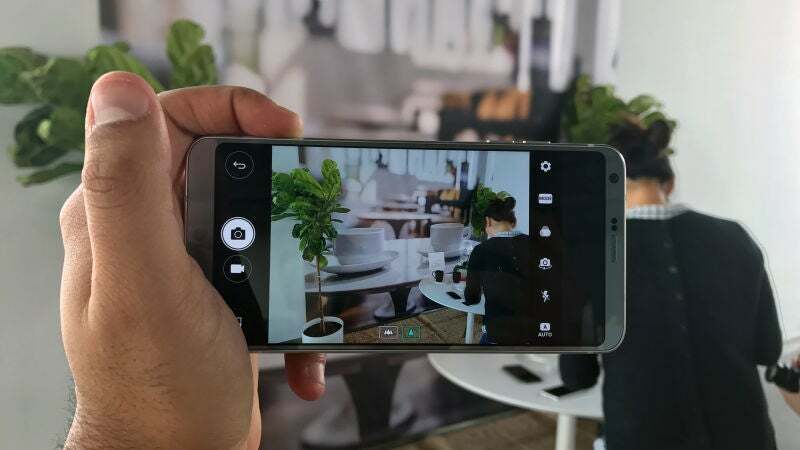 It gives you more options for capturing, and the image sensor is roughly the same level of quality as the Pixel. I found the camera to be responsive and excellent for framing shots. It's also important to note that neither the Google Pixel and Samsung Galaxy S8+, the phone's chief Android competitors, feature wide-angle lenses on the front or back of the phones. 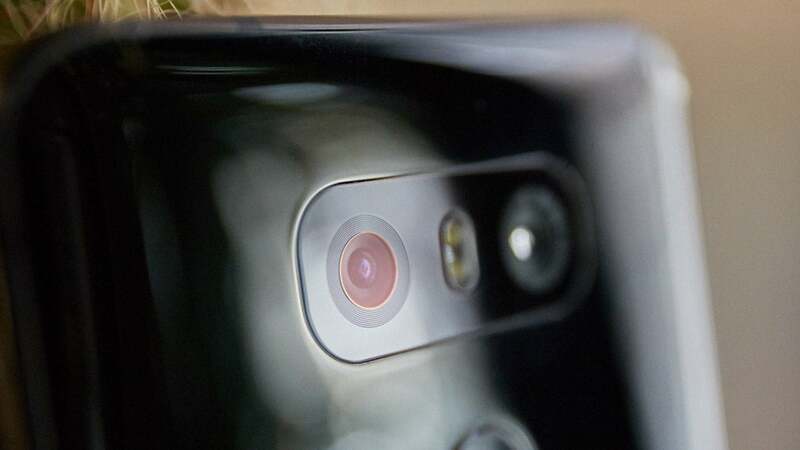 Beyond the cameras, the phone doesn't have a whole lot of gimmicky features. 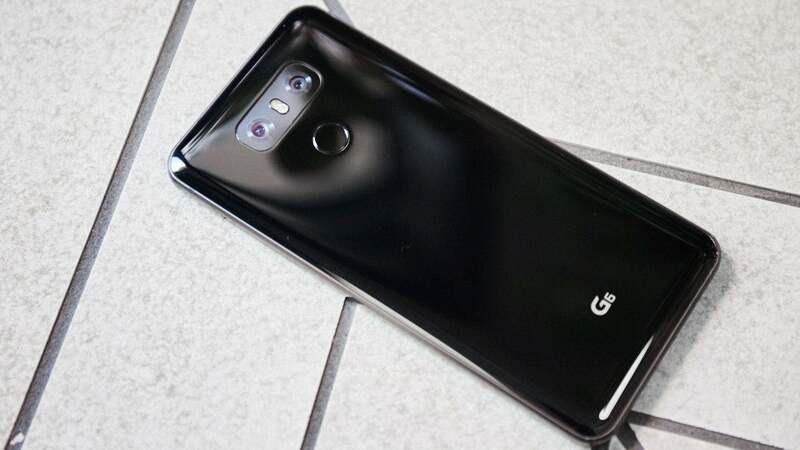 It runs on LG's custom version of Android and comes with only a couple of pre-installed apps, like Square Camera — an Instagram knock-off that lets you take square photos or even stack two square photos on top of each other in a feature called Match Shot. People will most likely ignore or even uninstall this app because there are plenty of other alternatives. The LG G6 is also the first non-Pixel flagship to run Google Assistant. This comes as a welcome surprise to anyone who's wanted to use the service but is reluctant to buy the Pixel because of its clunky hardware. 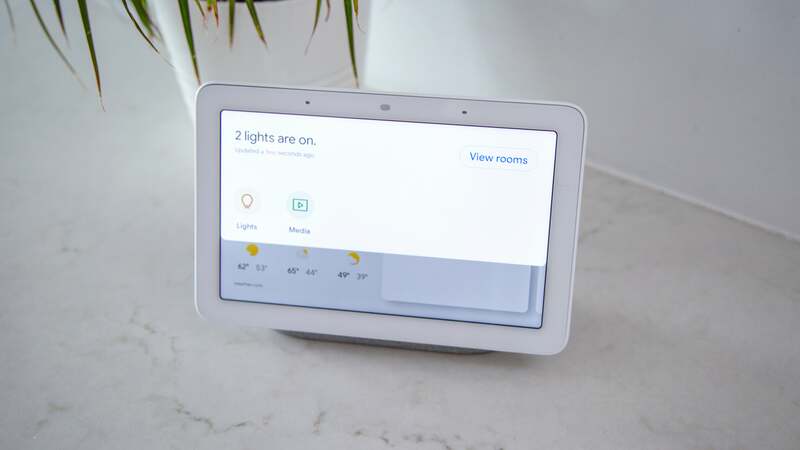 Personally, I don't find Google Assistant to be very helpful right now — but it will get better as more people use it, and it has the potential to be helpful in the near future. It also works, essentially, the same way that Google Now does, feeding you information it thinks you'll find important or useful. There are no other gimmicks built into the LG G6. No experimental features, nothing overly ambitious, and definitely no features that are best in class. 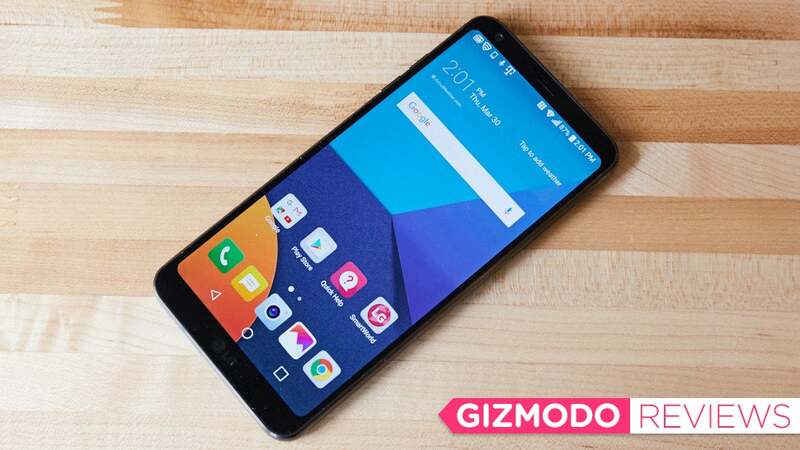 The G6 is an oversimplified phone to make up for last year's over-complicated disaster. LG has pared down the phone so much that it's really nothing special. This is a no-nonsense flagship with all the essentials and nothing more. For the price, you're probably better off purchasing any of the other flagships on the market. They all have more features, and equal or better hardware. The iPhone and Google Pixel will also receive software updates sooner. And for only a few hundred dollars more the the Galaxy S8 will give you awesome extras including an iris scanner, artificially intelligent assistant, quality headphones, and much more. This time LG played it safe — but it feels too safe. Where are the extra features?